After leaving the UK 7 months ago for another expedition down to Ghana and back, Aminah is home! 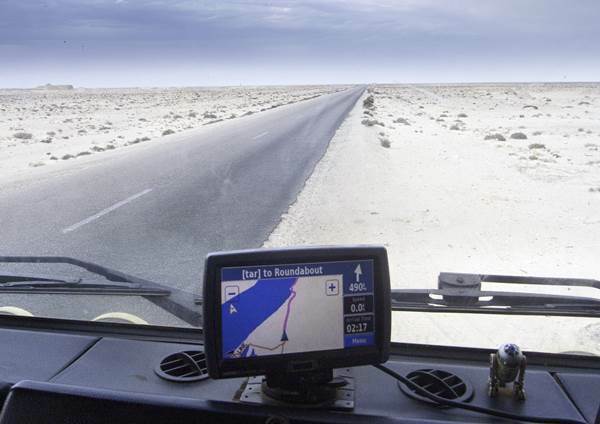 Our last trip of the season (Freetown to Dakar) arrived into the Senegalese capital a few weeks ago, and Al and Aminah began the long journey north through Mauritania, Western Sahara, Morocco, Spain, and France to the UK. Rainy season is fast approaching in West Africa, a time that makes travelling in the region challenging at best, so time for Aminah to have a well deserved break back home! We’d like to say a massive thank you to Nev Kelly who joined Al as the co driver for the season. 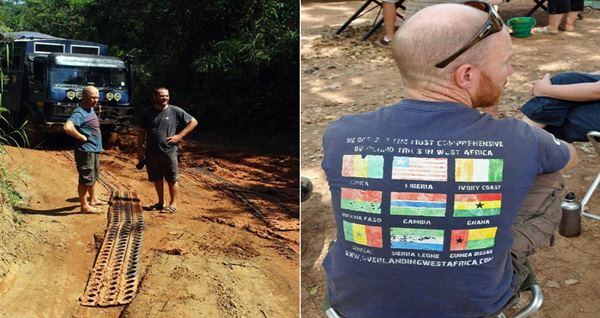 With OWA being the first ever overland company to operate a trip through Liberia this season, it was important to have good crew onboard. 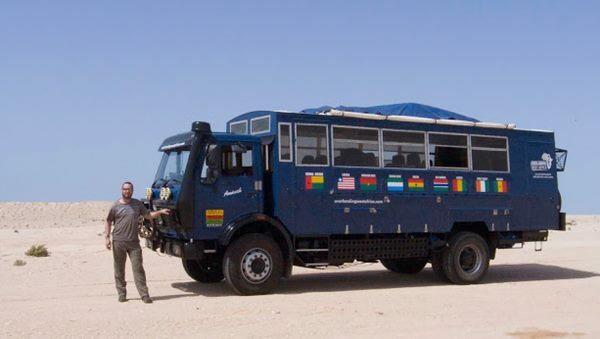 They’re an essential part of any overland expedition, and Nev’s hard work and commitment in working with Al shone through in the overwhelmingly positive feedback we received from this seasons passengers. Thanks Nev! You can read some of the great comments the passengers from this seasons trips wrote about OWA, Al, and Nev by clicking on the photo below. Many thanks to everybody who took the time to write such positive feedback for us. Cheers guys! In a few days Al and Hatter are heading up to the workshop to give Aminah some TLC in preparation for next seasons trips. We’ve jigged things around a little to take into account what has and hasn’t worked well on our trips to date. 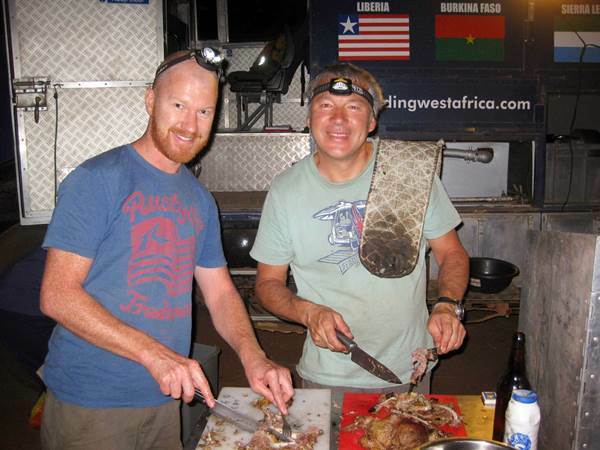 We’re still including all of the same countries, but seeing more of Burkina Faso AND also visiting Benin and Togo on our new Ouagadougou To Accra trip. If you haven’t done so already please send us an Enquiry Form to register your interest and book a trip. 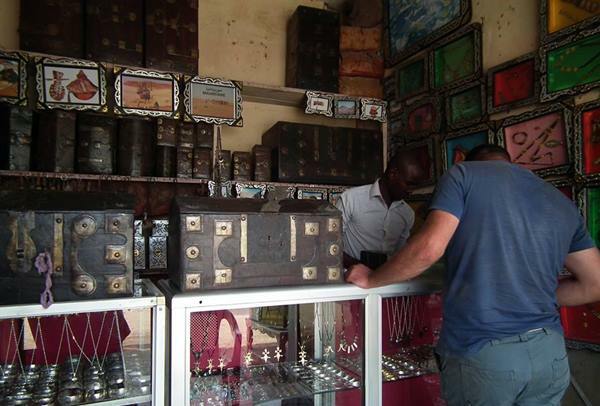 Al has been busy with the official OWA travel blog detailing the journey from Senegal to Ghana and back again. There are loads of entries on our blog site with some excellent photos! The latest entry was from the last couple of weeks of our Freetown to Dakar trip, as the group made their way from Guinea-Bissau to Casamance, Senegal. There are some great photos in this latest post, it should whet the appetite for joining us for a trip! Remember, you can keep in touch with all the latest happenings at Overlanding West Africa via our social media channels (Facebook, Twitter, You Tube, Pinterest, and Google +) by clicking through to the pages via the icons close to the top right hand side of each page on this website. We look forward to hearing from you and hope to see you onboard Aminah later this year for another adventure through beautiful West Africa! Here are some excellent photos from Gary Potter, Claire Abery, and Elizabeth Johnson who joined us on our Accra to Freetown and Freetown to Dakar trip this year.